This update to Samsung's flagship phone packs an oversize 6.2-inch display into a relatively narrow body. A metal frame joins a curved screen to a curved glass back. 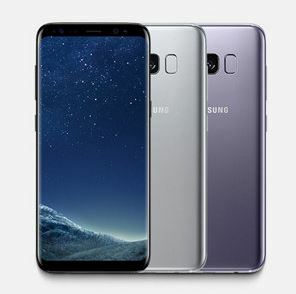 Key features include the Bixby assistant with dedicated button, a top-end processor, quad-HD+ display, auto-focus front camera, water resistance, iris scanner, and fingerprint sensor. It also supports Samsung Pay - via both NFC and magnetic card emulation - Samsung's DeX desktop dock, fast wireless charging, memory cards, and 3.5mm headphones.